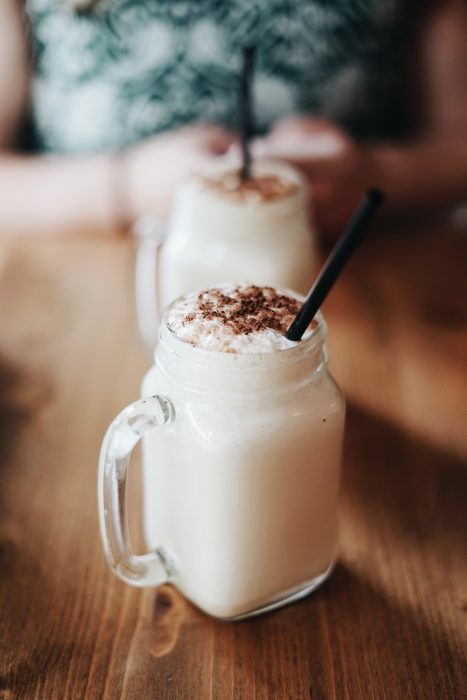 This cinna-yummy smoothie tastes like a Cinnabon with a side of coffee, yet it has none of the icing-drenched guilt—plus cinnamon can help keep blood sugar stable and stave off food cravings. COMBINE first 5 ingredients in the blender and blend. 2. ADDyogurt, frozen banana, and ice cubes, and blend until smooth.